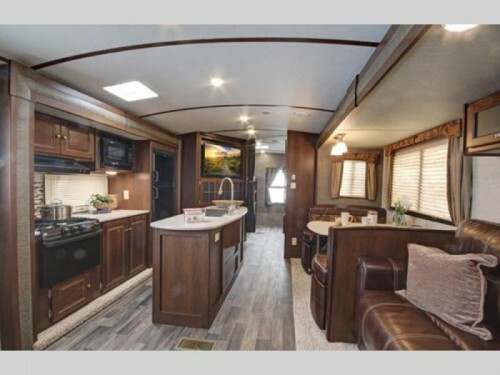 We, here at Bullyan RV Center, have many Keystone Premier Ultra Lite travel trailers for sale, so our customers will be able to get exactly the type of camper that fits their needs. Luckily, these travel trailers come with plenty of features to help make your RVing life better. Let’s check out a few! 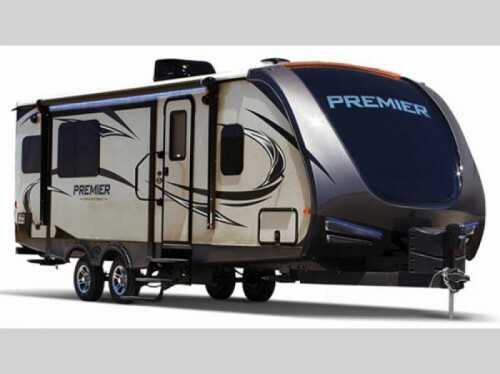 Take a look inside the Keystone Premier Ultra Lite Travel Trailers! With eight floorplans to choose from, you will find different sizes and styles to help fit the needs of your family. Each plan will come with one to three slide outs to provide the space you want, and some models will even come with a bunkhouse where you can sleep up to eight people! Floorplans with a bunkhouse provide more room for everyone! The Premier Ultra Lite is designed to make travel to and from your destination easier. Things like the lightweight design and the smooth exterior with aerodynamic front profile will make it easier-to-tow with mid-size and crossover vehicles. Plus, you’ll find that your fuel efficiency is better to save you extra cash while on the road. Spending time outdoors is one of the many reasons people love to RV, and the Keystone Premier comes outfitted with amenities to give you more enjoyment outside. For example, the awning will be entirely electric for easy setup, and the addition of LED lights along the awning as well as exterior speakers will help you spend time outside in the day or night and provide music for a more relaxing experience. Find more luxury features inside and out for a more enjoyable travel experience. 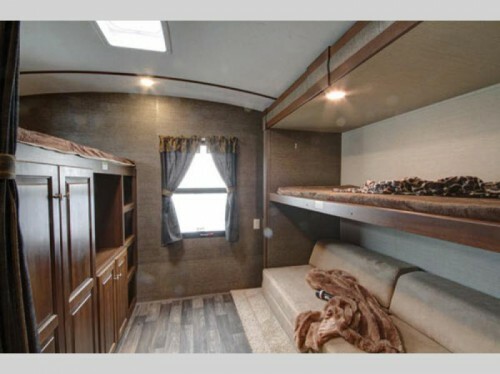 The interior of this travel trailer will have even more features to love. Residential style furniture including an upgraded foam mattress in the master bedroom will keep you comfortable, and find the ultimate luxury in the bathroom with foot flush toilet and oversized glass door shower. From the LED TV in the living area to the double door refrigerator in the kitchen, every room will have something else to add luxury to the campground. RVing should be a time of fun and relaxation for your family, and with the Keystone Premier Ultra Lite travel trailers here at Bullyan RV, having the perfect camping vacation is finally within reach. Be sure to contact us or come by our location today to learn more about the features this camper has to make your next trip the best one yet.